Comes complete with hose adapters to mount directly onto your faucet. The valve itself is 3/4" female pipe thread so it can be installed in line if you desire. The 710AP series single station controller is a versatile battery operated controller equipped with a two wire DC latching solenoid and designed with propagation, misting and irrigation cycles to provide advanced programming capabilities for all types of commercial, greenhouse and nursery applications. Fully waterproof and powered by two AA alkaline batteries that can last for up to three years, the 710AP features logical, revolving menus for simplified programming and review. The 710AP includes a seven button keypad, a large, easy-to-read LCD display, intuitive icon-based programming with five start times per day in weekly or cyclical mode, manual run, monthly budget, and rain off with restart of up to 99 days. 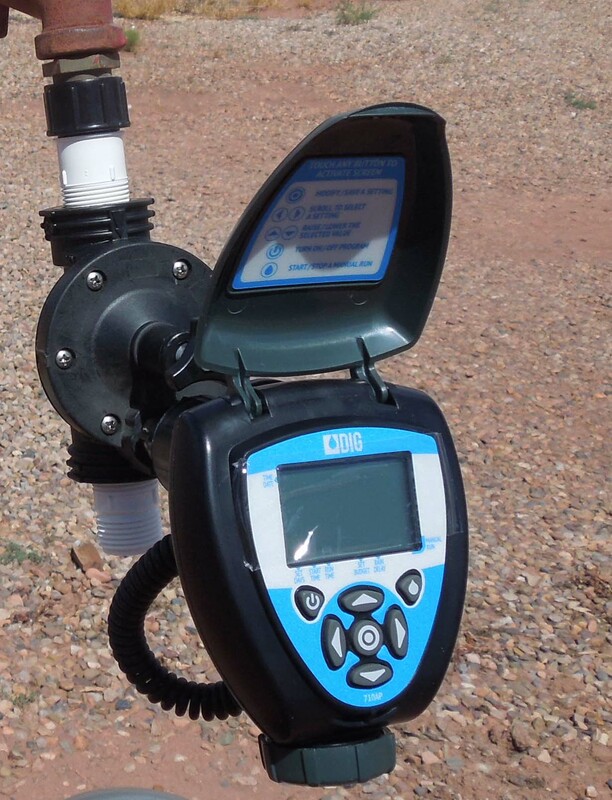 The controller also features a propagation mode including cyclical frequencies from 1 minute to 59 minutes or from 1 to 12 hours, and durations in seconds for loop watering with selectable start and stop times. Powered by two AA alkaline batteries with a safe period of 60 seconds to replace without losing power. 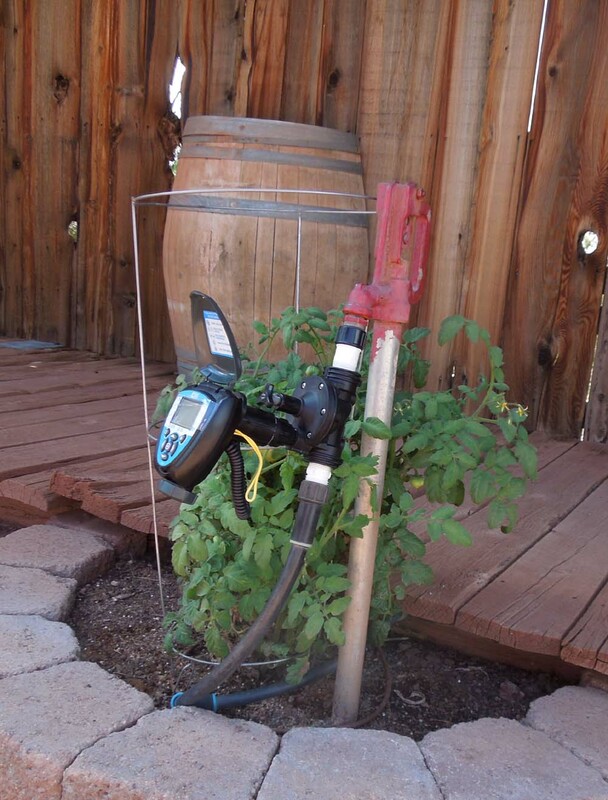 Watering flexibility with a selection of watering frequencies including weekly, odd, even, or cyclical between 1 and 30 days, 1 to 12 hours or 1 to 59 minutes. Duration can be set in seconds, minutes or hours. Interval watering in which a cycle is continuously repeated for a desired period every set interval between a start and stop time. Cycles can be repeated daily or be left running indefinitely. Seven buttons with integrated high resolution screen. Simple, icon based intuitive programming and EasyFlow™ navigation. After fifteen minutes the controller screen turns off automatically to conserve energy. Semi-automatic and manual operation with timed countdown for shutoff. System On/Off button allows the user to turn off the controller’s programming and reactivate it as desired as well as to quickly activate or deactivate a propagation program outside of its set start and stop times when used in propagation mode. Propagation mode features error catching so that programming mistakes cannot be entered and will automatically update to an allowable entry (run time greater than interval or interval less than run time). Retractable coiled cord to the solenoid. Brackets for solenoid and wall mounting options are included. Reset option allows erasing of all programs to default settings except date and time. Non-volatile memory holds programs indefinitely without batteries except date and time. Can be mounted on a range of solenoid valves. Captured solenoid plunger and spring for easy maintenance. Easily retrofits to most manufacturers’ valves with one of DIG’s seven adapters. Custom programming schedules with a weekly calendar, odd days, even days, intervals from one to thirty (1-30) days utilizing yearly calendar with leap year or 1 to 12 hours and 1 to 59 minutes. Five start times per day in normal mode, one start and stop time per day with watering intervals of every 1 minute to up to 12 hours in propagation mode. Duration up to 5 hours and 59 minutes in one-minute increments in normal mode or from 5 seconds to 59 minutes in 1 second increments in propagation mode. Program Off button allows the user to turn off the controller and reactivate it as desired as well as to quickly activate or deactivate propagation programs. Manual On/Off button opens the valve and utilizes the program run-time to display time left in run. Can be pressed again to quickly shut off the valve.